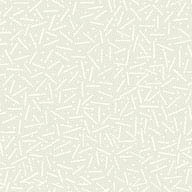 Orchid blend with creamy midribs and a soft green throat. Very beautiful, vigorous and rapid propagator. 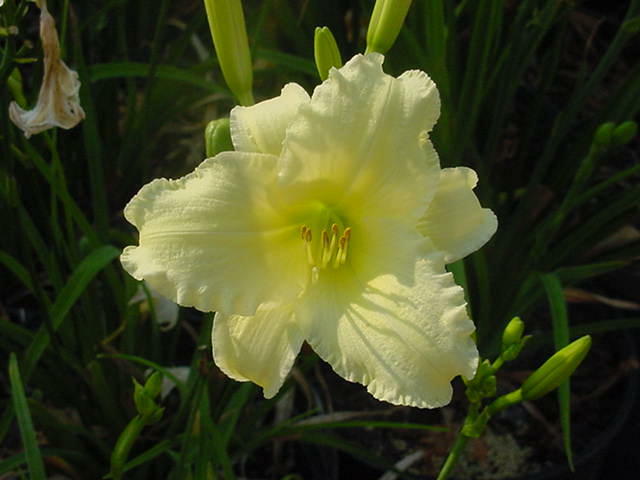 Early midseason, rebloomer, semi-evergreen, fragrant, extended bloom, 6"blooms. 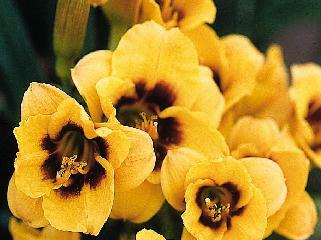 Burnished Gold 4-1/2 inch blooms have extremely heavy substance and petal thickness. The edges have nice pie crust ruffling. 22 inch tall scapes. Mid Season bloom time. Repeat bloomer. 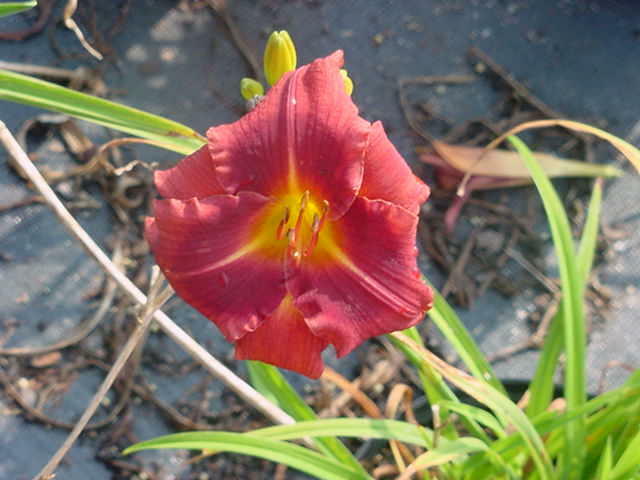 Nice miniature award-winning red daylily. Clear candy apple red with green throat. 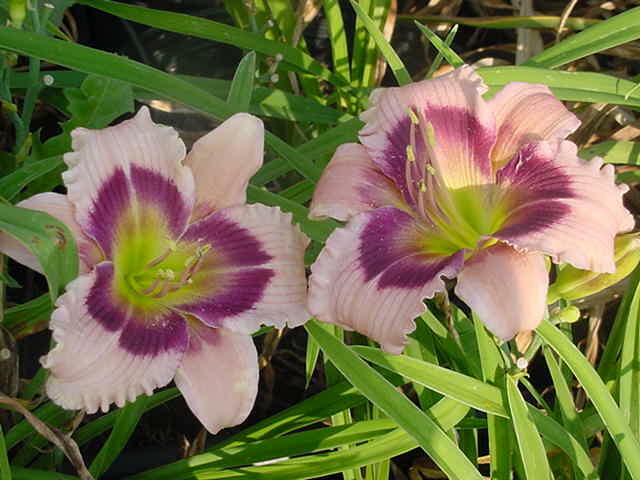 Builds nice clumps and blooms heavily. Healthy foliage emerges early in spring. 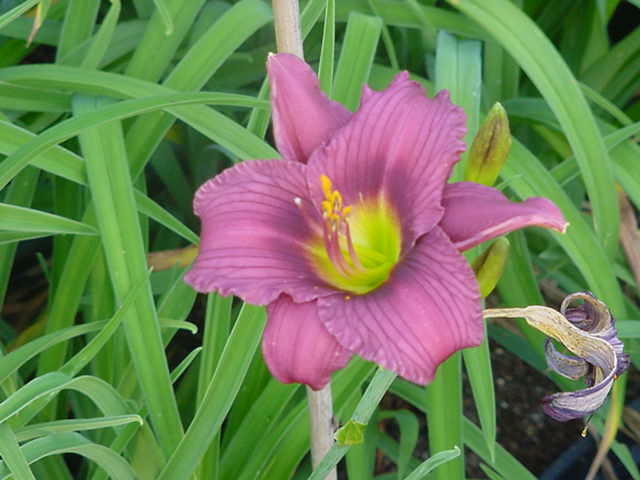 3 ½ inch bloom are held above foliage on 20 inch scapes. 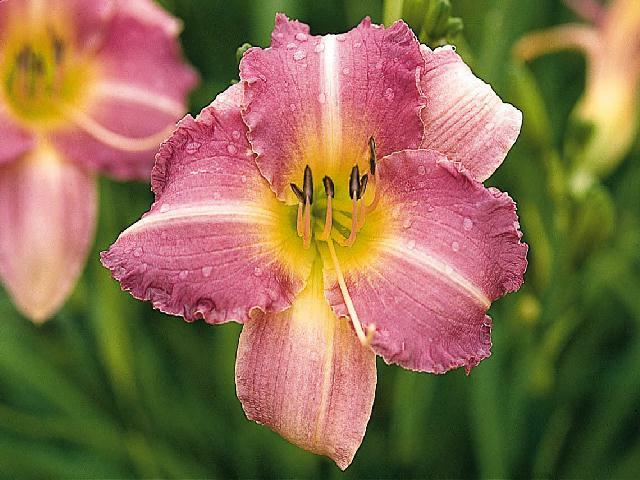 This profuse blooming daylily has lightly ruffled, bright rose-lavender blossoms with an unusual double wine eye surrounding a green throat. 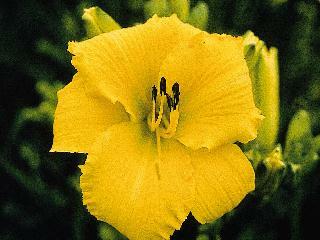 Flowers open early in the day and remain beautiful until dark. 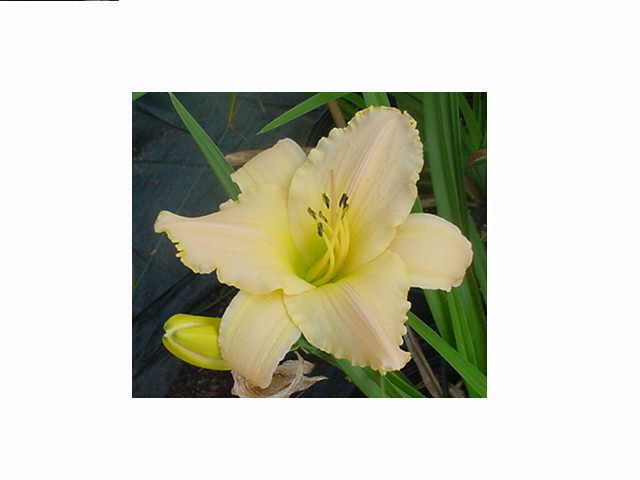 20" tall, midseason, extended bloom open, dormant, 4" blooms. 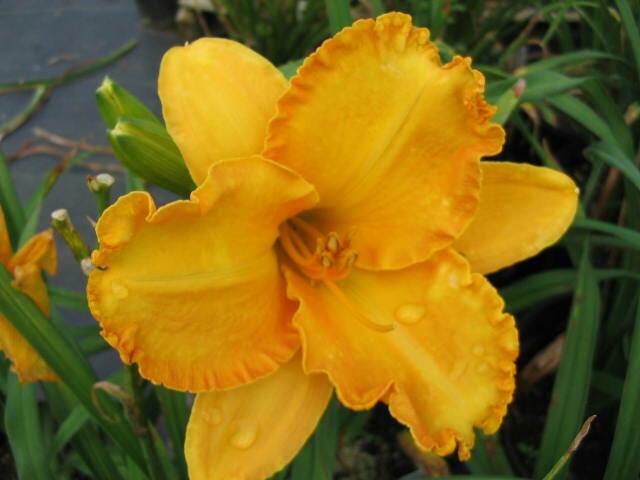 If you are looking for a high impact orange that has dominance in the garden, this is it. 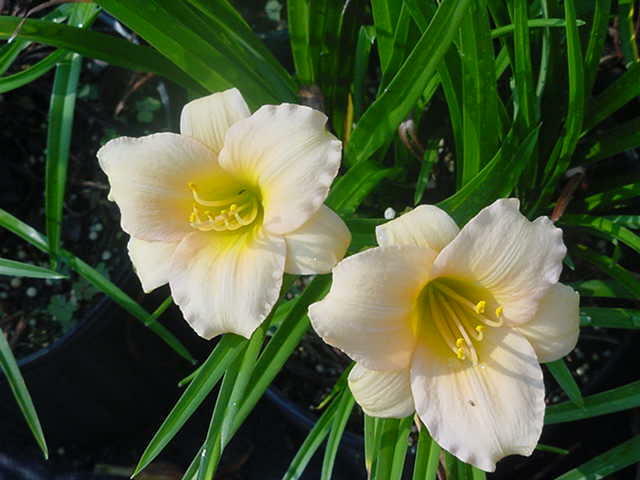 Blinding gold blossoms on strong scapes and high bud count make this a sure winner. Extremely vigorous and excellent foliage. 34" tall, midseason, dormant, tetraploid, 6.5" tall.